In November and December, Sanibel Sea School will offer a series of After School Ocean Art classes for students ages 6-13. Participants will get creative and use everything from shells to coconuts to make some beautiful, gift-worthy art pieces just in time for the holiday season. “Our focus is always on using natural, local, environmentally friendly materials,” said educator Shannon Stainken. “We also want to create art that our students will be proud to take home or give to a friend or family member,” she added. 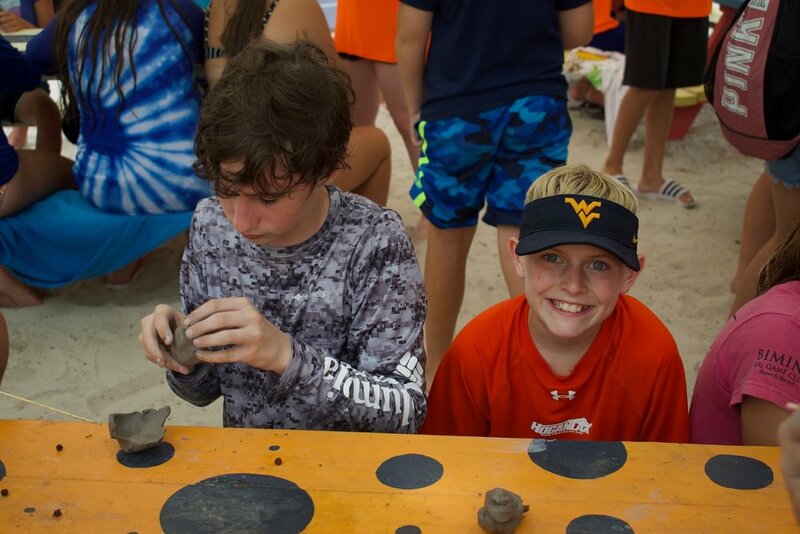 Project details for each session are available on the organization’s website, and planned activities include sand casting, clay pot making, ornament crafting, and more. Cost is $20 per student per session. Sessions offered Tuesdays 11/27, 12/4, 12/11, and 12/18 from 3:30 to 5:30 PM at Sanibel Sea School. Learn more and register online at sanibelseaschool.org/afterschool. Sanibel Sea School is a 501c3 nonprofit whose mission is to improve the ocean’s future, one person at a time. Photo: Calusa inspired clay pot making will be one activity offered during Sanibel Sea School's After School Ocean Art program.